A man proposed in Times Square, but his romantic plan went very wrong. A man proposed in Times Square. Moments later, his romantic plan went horribly wrong. 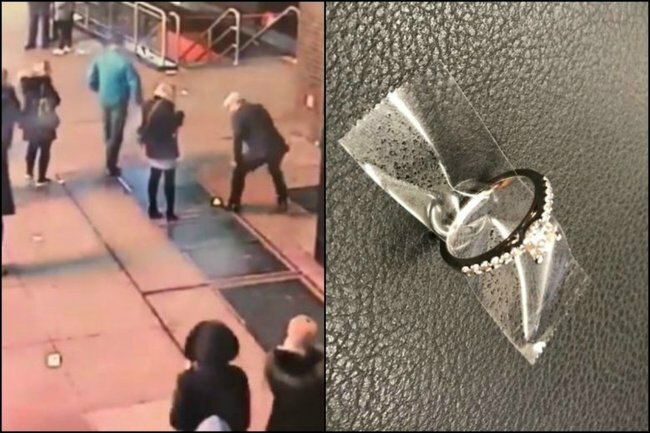 Police are looking for a couple who lost an engagement ring down a grate in New York moments before the man was due to propose. The New York Police Department said the man had got down on one knee on Friday night and was so excited when she said yes that he dropped the ring. The force tweeted: “WANTED for dropping his fiancee’s ring in @TimesSquareNYC!